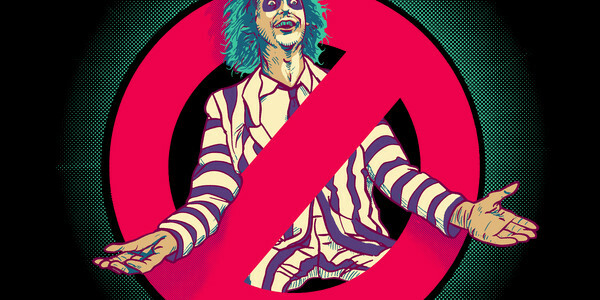 The Beetlebuster tee design is for the Beetlejuice fans that have been waiting for a great fan shirt. While it does incorporate Ghostbusters, it leans more towards the Beetlejuice fandom. This concept is clever. The phrase "who ya gonna call three times?" paired with Beetlejuice placed inside the backwards prohibition symbol with the words "The afterlife's leading Bio-exorcist" below it, works. Instant classic! What this piece lacks in grammar it more than makes up for it with movie references. Making it a great geek tee. As for the artwork, it is illustrated well. Beetlejuice looks badass and the ectoplasmic glow effect adds to the the spooky element that was underlying both (dark) comedies. The colors are perfect with great contrast. There is some nice foreshortening going on in the arms. The shading in the face and hair is awesome. While not everyone will agree with this next opinion I stick by it. The fact that the green glow is off center from the Prohibition sign makes the design better. Because his hand extends further on the side where the green is wider. This Beetlebuster tee would make a great gift for the fans of both franchises but Beetlejuice fans will appreciate it more. This is another great geek shirt that is perfect for comic-cons and whatever. 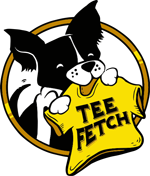 It is a great October and Halloween tee. Beetlebuster Tee Design by Donovan Alex.